The Apache Jakarta Commons project is a collection of freely-reusable, open source Java components. 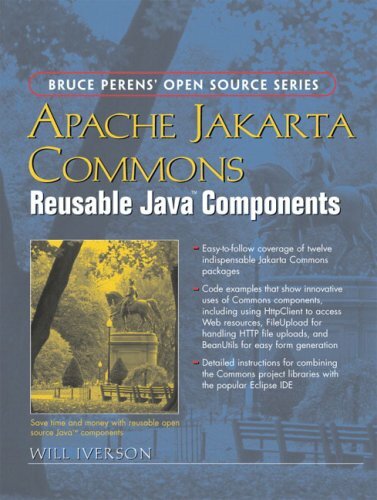 This book is a Java developer's guide to the Apache Jakarta Commons project. It covers in detail the twelve most important Commons packages, with sample program code provided for each. Included are a number of useful ideas for working the various Commons packages. The 2nd edition provides information for anyone involved in creating graphical user interface applications and applets in Java. New sections discuss the use of badges in button graphics, smooth interaction, and revised standards for window titles. The hands-on guide to the full Java application development lifecycle on Linux, written for Java and Linux developers alike. The authors demonstrate the platform, tools, and application development by showing easy-to-follow, realistic examples.